When Rudy Baylor (Matt Damon), a young attorney with no clients, goes to work for a seedy ambulance chaser, he wants to help the parents of a terminally ill boy in their suit against an insurance company (represented by a ruthless Jon Voight). 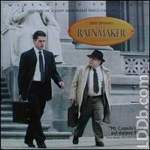 But to take on corporate America, Rudy and a scrappy paralegal (Danny DeVito) must open their own law firm. Francis Ford Coppola adapts and directs this story based on John Grisham's best-selling novel. Ex-cop Edwina "Ed" McDonnough (Holly Hunter) and her ex-con husband, H.I. (Nicolas Cage), are devastated when they learn they can't have children. Not to worry: They reckon they'll just "borrow" one of furniture magnate Nathan Arizona's (Trey Wilson) new quintuplets. Featuring oodles of idiosyncratic humor, this kidnapping farce from Joel Coen and Ethan Coen is a deft nod to classic screwball comedy. John Goodman and William Forsythe co-star. Ivan Danko (Arnold Schwarzenegger) is a Russian cop sent to Chicago to extradite a Russian drug-dealer named Viktor Rostavili (Ed O'Ross), wanted for murder back in the USSR. When Danko and his prisoner are ambushed by Viktor's gangland friends the Russian escapes, and a veteran police officer is killed. His partner Ridzik (James Belushi), who like Danko now has a personal vendetta against Rostavili, joins forces with the Soviet cop to hunt down the escapee and his gunmen. 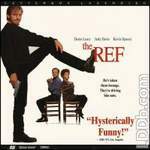 Gus (Denis Leary), a burglar, is about to score on Christmas Eve by breaking into a posh home in the suburbs. His plans change when he trips up the alarm and takes the occupants hostage. Or is it the other way around? After all, his hostages include the house's owners, an endlessly bickering husband (Kevin Spacey) and wife (Judy Davis) on the verge of divorce, and Gus finds himself refereeing their blistering -- and constant -- arguments. 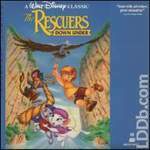 A lawless poacher (voiced by George C. Scott) wants to capture a majestic and rare golden eagle, so he kidnaps the boy who knows where to find the bird. Not to worry -- the Rescue Aid Society's top agents, heroic mice Miss Bianca (Eva Gabor) and Bernard (Bob Newhart), fly to Australia to save the day. Accompanying the fearless duo are bumbling albatross Wilbur (John Candy) and llocal field operative Jake the Kangaroo Rat (Tristan Rogers). An urgent note in a bottle from a kidnapped orphan girl leads two adventuresome mice on a "wild albatross chase" to Devil's Bayou and a madcap encounter with the villainous Madame Medusa. Bob Newhart, Eva Gabor and Geraldine Page lend their voices. Although it didn't seem possible, the evil sorcerer Jafar - now the most powerful genie of all - has escaped from his lamp! And he has only one thing on his mind: revenge against Aladdin! From battling thieves on flying horses to dodging flames inside an exploding lava pit, it is up to Aladdin - with Princess Jasmine, Abu, Carpet and Genie by his side - to save the kingdom once and for all! Ian McKellen stars in the title role in this visually inventive adaptation of Shakespeare's classic drama, which is set in 1930s England after a civil war has torn the country apart and left the people under fascist rule. 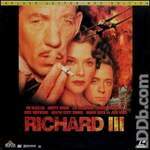 Richard plots against his brother, Edward (John Wood), in his quest to usurp the throne, and will stop at nothing in pursuit of his goal. The film received Oscar nominations for art direction and costume design. Whatever became of Robin Hood after his famed tale of good deeds ended? 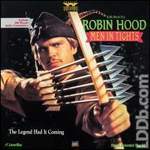 Now you can find out, in this sequel that takes place years after Robin and his merry men bested the Sheriff of Nottingham. 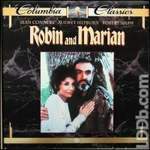 After following Richard the Lionhearted to the crusades, Robin (Sean Connery) returns to Sherwood Forest to find things drastically changed. Audrey Hepburn plays the stalwart Marian … who's joined a nunnery! nylon-clad crew battle to bring down evil Prince John and hideous side-kick the Sheriff of Rottingham to procure the key to Maid Marian's heart... and her chastity belt! Millions of lives hang in the balance after a military madman (Ed Harris) seizes control of the island prison Alcatraz and threatens to launch deadly poison gas missiles at San Francisco. With time ticking away, a chemical weapons expert (Nicolas Cage) and a cunning federal prisoner (Sean Connery), who happens to be the only man to have broken out of Alcatraz, must now break in and disarm the missiles. 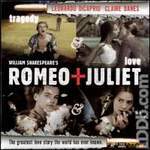 In director Baz Luhrmann's contemporary take on William Shakespeare's classic tragedy, the Montagues and Capulets have moved their ongoing feud to the sweltering suburb of Verona Beach, where Romeo (Leonardo DiCaprio) and Juliet (Claire Danes) fall in love and secretly wed. Though the film is visually modern, the bard's dialogue remains intact as the feuding families' children pay a disastrous cost for their mutual affection. Francis Ford Coppola directed this beautiful black-and-white version of S.E. Hinton's popular youth novel. 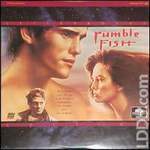 RUMBLE FISH explores the relationship between a young street thug, Rusty James (Matt Dillon), and his older brother, the legendary Motorcycle Boy (Mickey Rourke). When Motorcycle Boy comes back to town, he finds Rusty James trying to imitate his former gang leader ways and their father (Dennis Hopper) trying to drink away a troubled past. The only color images in the film are the shots of the Siamese fighting fish that the color-blind Motorcycle Boy admires.